Farberware Stainless-Steel Cutlery Set Just $38.99! Down From $90! PLUS FREE Shipping! You are here: Home / Instagram / Farberware Stainless-Steel Cutlery Set Just $38.99! Down From $90! PLUS FREE Shipping! 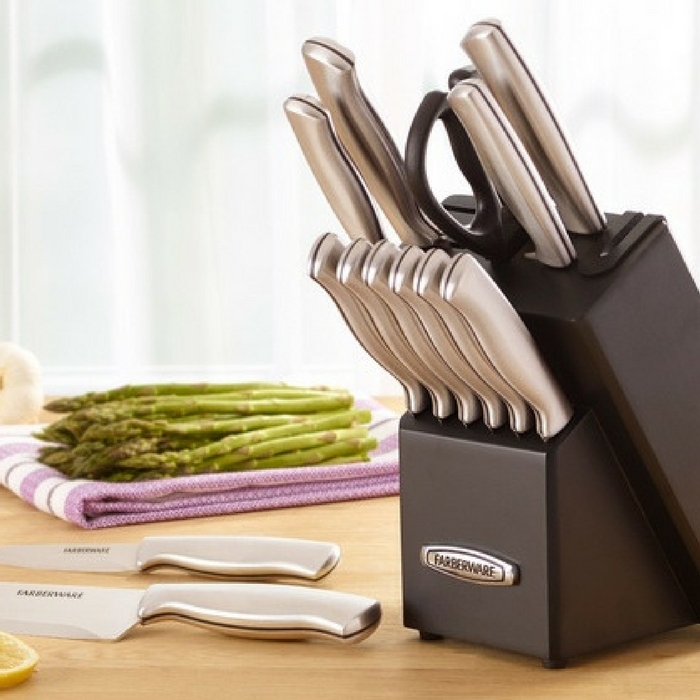 Farberware Stainless-Steel Cutlery Set is now on sale at Groupon for just $38.99 down from $90 PLUS FREE shipping! The #1 selling cutlery brand in America, Farberware represents high-quality, classic styling, and affordability in cutlery and kitchen products you can trust. This cutlery set is durable and long-lasting thanks to tough steel, ceramic and resin materials that resist dulling, rusting, and chipping. It includes multiple blade shapes and lengths for flexible functionality that makes it easy for you to slice, chop, and cut your way to a delicious meal.